HMD’s most affordable Android phone to date has plenty to offer. HMD Global set its sights on the budget segment last year, and heading into 2018 the Finnish manufacturer is doubling down with phones targeted at all price points. The Nokia 1 is particularly interesting as it is the first Android Go device from the manufacturer, with the phone featuring Google’s lightweight operating system optimized for low-powered hardware. 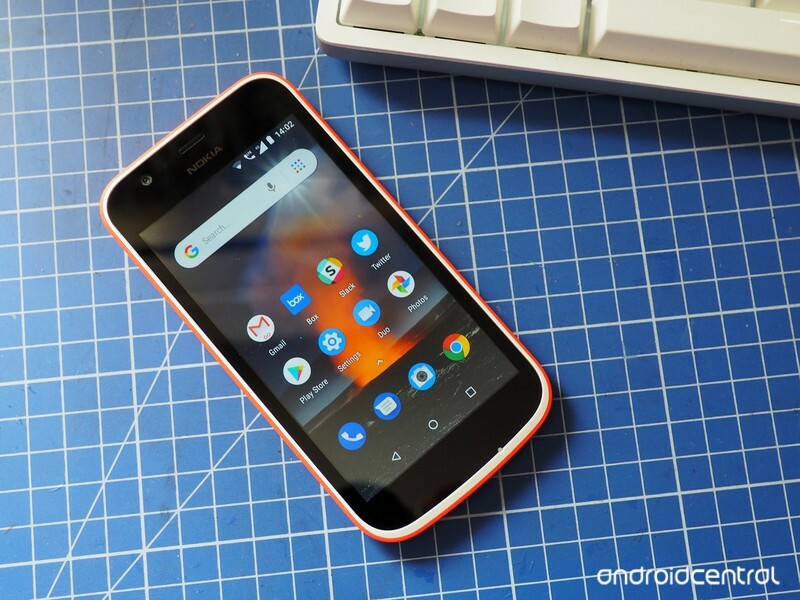 The Nokia 1 retails for under $100, and while the hardware on offer isn’t exactly groundbreaking, Android Go promises to offer a lag-free experience that doesn’t make you want to throw the phone out the window. Let’s find out if that is indeed the case. With a screen size of 4.5 inches, the Nokia 1 is tiny by today’s standards. Like budget Nokias of old, the phone is constructed out of plastic, with a removable back that can be customized with Xpress-on shells. The design is vibrant, and the white border along the display contrasts very well with the colorful back covers. 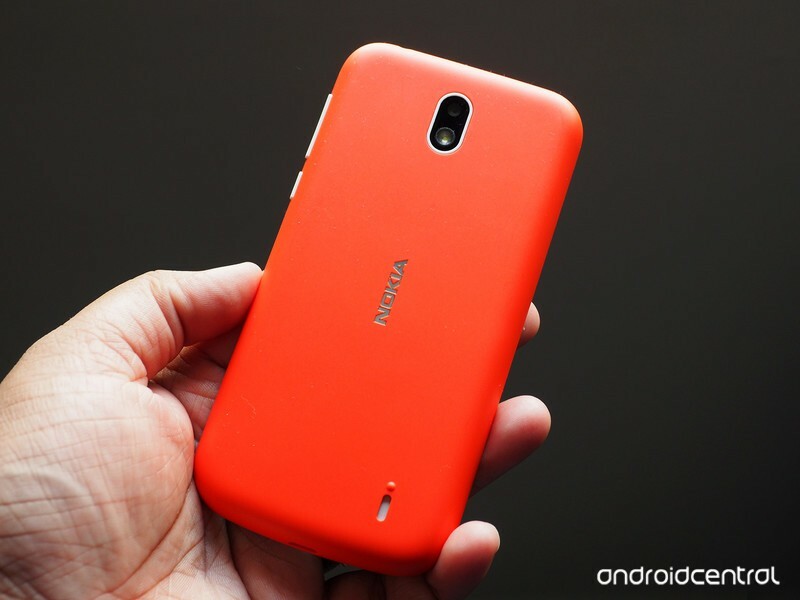 The Nokia 1 has a playful design that’s customizable with removable back covers. The 854 x 480 display is reminiscent of phones from six years ago, as is the design up front. The Nokia 1 has chunky bezels at the top and bottom, and while the screen is decent overall, it is reflective and doesn’t get bright enough under harsh sunlight. What’s of particular interest is that the Nokia 1 comes with an ambient display, allowing you to preview incoming notifications without turning on the screen. The phone is designed primarily for usability, and in most use cases the display on the Nokia 1 is perfectly serviceable. Under the hood, the Nokia 1 is powered by a MediaTek MT6737M with four Cortex A53 cores at 1.1GHz. There’s also 1GB of RAM and 8GB of internal storage, and true to its word Android Go offers more usable storage space out of the box. There’s slightly over 4GB of space available, and you have the option to extend storage via the microSD slot. On the connectivity front, you get 4G LTE (and VoLTE), Wi-Fi 802.11 b/g/n, Bluetooth 4.2, GPS, and an FM radio. The Nokia 1’s strong point is Android Go: Google’s lightweight OS does a magnificent job of ensuring that the phone doesn’t feel slow. Granted, there are times when you’re browsing the web or switching between apps that you’ll notice a lag, but it’s thankfully not a major issue. The lightweight version of Google apps — Gmail Go, Google Go, YouTube Go, and others — also do a great job of retaining most of the features of their full-fledged counterparts while taking up a fraction of the space. The Play Store on Android Go highlights lightweight apps, including the likes of Facebook Lite, LinkedIn Lite, and Messenger Lite. Android Go does a fantastic job in terms of utilizing the hardware to its maximum potential. YouTube Go is pretty great, and the fwe videos I watched on the platform played without any hitches. The built-in speaker doesn’t get very loud, but it is detailed and doesn’t get distorted at full volume. The placement at the back is less than stellar though. If you don’t find a Lite variant of a particular app, you can download the full-sized version and use it as you would on any Android phone. WhatsApp, in particular, works just fine on the Nokia 1. You’ll even be able to install games and move the data files seamlessly to an SD card if you have one installed. 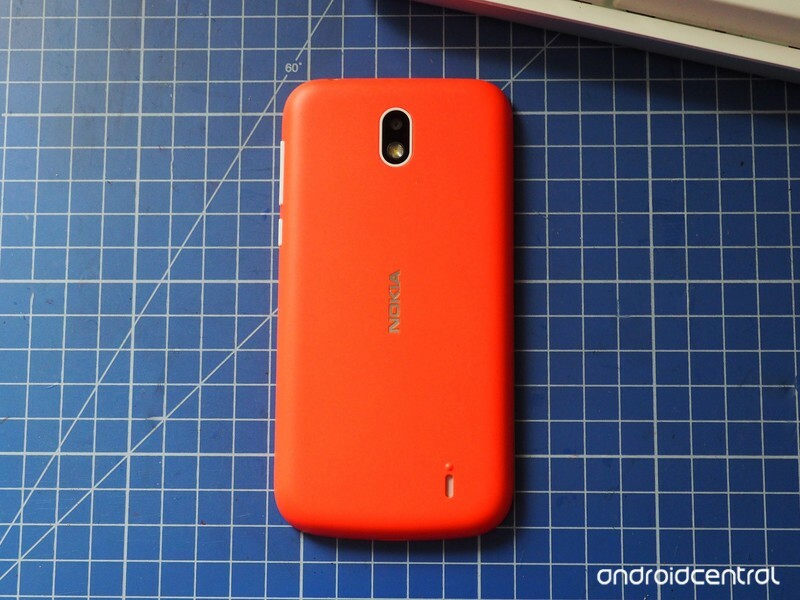 For the most part, the Nokia 1 does a decent job when it comes to performance. You’ll be able to play casual games like Subway Surfers without running into too many issues, but anything more taxing than that and the phone starts to struggle. Again, the main factor here is usability — the Nokia 1 gets the job done for most day-to-day tasks. Finally, the 2150mAh battery managed to offer over a day’s worth of usage consistently: the low-powered hardware allows you to easily get screen-on-time in excess of six hours. The Nokia 1 has a 5MP camera at the back, and a 2MP front shooter. For what it’s worth, the interface itself is identical to what you’d find on the likes of the Nokia 7 Plus, with options for panorama and a beautify mode on offer. You get an HDR mode as well as 720p video recording, but the shutter lag is immediately noticeable when using HDR and the lack of any stabilization means more often than not, you’ll end up with shaky videos. 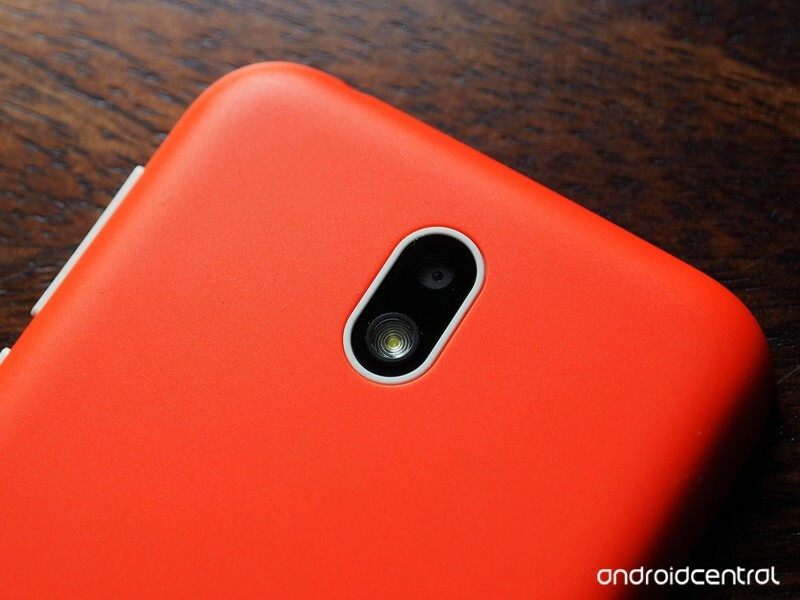 You’re not buying the Nokia 1 for its camera. The rear camera is mediocre, and the resulting photos highlight as much. It took far too long to focus, and as you can make out, there’s little to no detail and a ton of noise. I tried taking several shots of the same scene, but all of them ended up being blurry. You’re definitely not buying the Nokia 1 for its camera. And as good as the battery life is, there’s no fast charging — it takes well over three hours to fully charge the Nokia 1. The Nokia 1 shows that Android Go has a lot of potential, but ultimately it comes down to the price. The Nokia 1 retails for the equivalent of $97 in India (₹5,499), and is set to go on sale in the UK for £79 ($115) sometime next month. The main hurdle to HMD’s ambitions in India’s entry-level segment is the Xiaomi Redmi 5A, which is available in the country for ₹5,999 ($90). That’s just ₹500 ($7) more than that of the Nokia 1, and you get a full-fledged version of Android and much more robust hardware. The Redmi 5A features a 5.0-inch 720p display, Snapdragon 425 chipset, 2GB of RAM, 16GB of storage, 13MP camera, and a 3000mAh battery. Sure, MIUI on an entry-level phone has its share of issues, but the overall experience is better than what you get on the Nokia 1 thanks to the Snapdragon chipset. If you’re in India, the Redmi 5A is a better bet — you get a much better camera, and the hardware is definitely a cut above what’s on offer with the Nokia 1. For around the $100 mark, the Nokia 1 is still a great choice, particularly in Western markets. HMD hasn’t detailed availability plans for the U.S. just yet, but the phone is set to make its way to the UK in just over a month. In the meantime, if you’re looking for an Android Go phone in the U.S., you’ll have to wait until ZTE’s Tempo Go is back in stock. ← How does Instagram’s new Focus mode compare to your phone’s portrait mode?